Mama Mo Stamps: Color it in! Your cards ares all beautiful : Maureen your work is gorgeous! Very pretty! Love the pretty colors and you did an awesome job with the water coloring! Hugz! Maureen, such a pretty card. 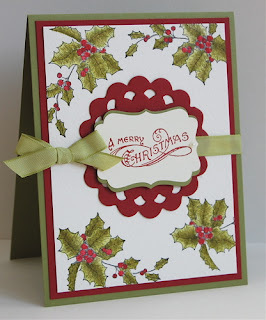 You did a terrific job on the coloring and I love how you matted your sentiment with the different dies. Your ribbon loks so sweet. Thanks for sharing.